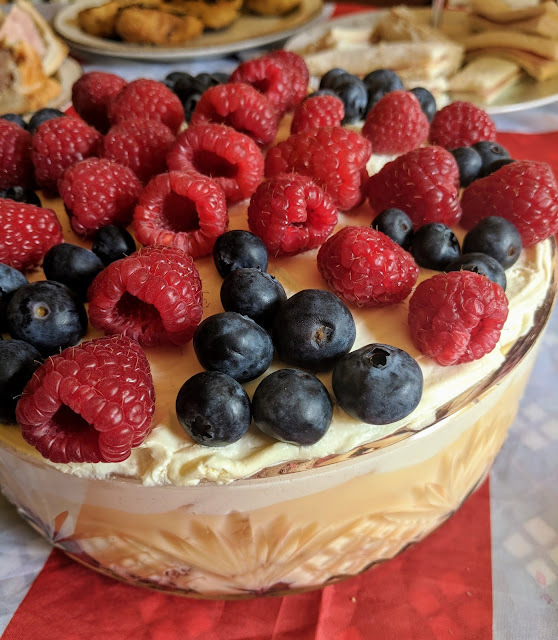 What could be more British than a trifle? Well, perhaps a trifle with an union flag decoration on top. 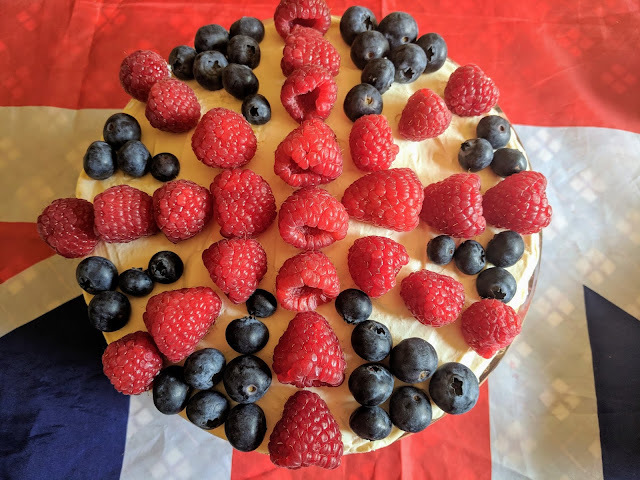 Of course this was made for our Royal Wedding celebrations at the weekend but the basis of the trifle works for any occasion. If you make it for a special birthday or wedding anniversary you could make the numbers out in fruit. There are many recipes for trifle but this one is particularly quick and easy to make. This is especially useful if you are needing to make a number dishes for a party spread or buffet. The combination we have used is family friendly but mainly because none of us at JibberJabber Towers likes sherry! 1. Layer the Swiss roll on the bottom of the glass dish. 2. Pour over the raspberries and juice. 3. Spoon over the custard and smooth the top. 4. Whisk the cream until it is thick and whipped up. 5. Put on top of the custard and chill until just before serving. 6. Arrange the fruit on top as required.